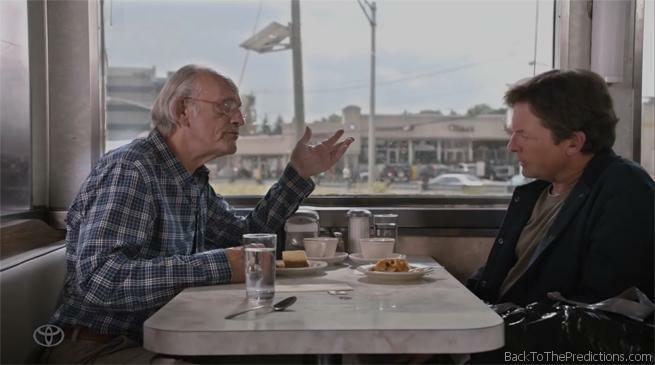 Toyota has released a sneak peek at a short film titled Diner which reunites Chrisopher Lloyd (Dr. Emmett Brown) and Michael J. Fox (Marty McFly) at a table in a diner as they discuss predictions made in Back to the Future Part II. The full film will be available on October 21, 2015…of course. There’s no word on if it will feature flying cars or not.